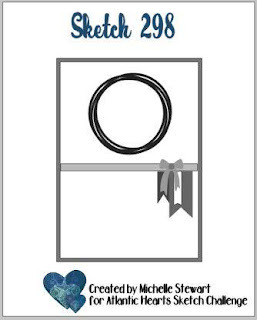 I'm back with a fun sketch for you to try from Atlantic Hearts Sketch Challenge. I love their sketches!! Sure hope you can join us this week. Here's my card. I knew immediately that I wanted to use the Swirly Frames set, a stamp set that has yet to see ink...GASP!! I paired it with, from the new Occasions catalog, Meant to Be. Now as you see, I did not include the 3 little banners from the sketch. They definitely competed with the tails of the ribbon so I opted to leave them off. 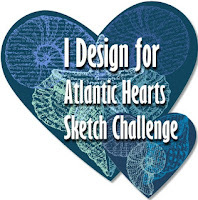 Now it's you turn to show us your take on the latest sketch at Atlantic Hearts Sketch Challenge.